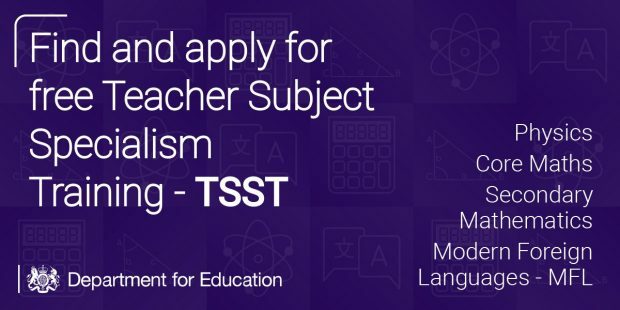 Teacher subject specialism training (TSST) is a free programme, available to non-specialist teachers interested in expanding their knowledge and skillset to teach maths, physics or modern foreign languages. It can help increase confidence, subject knowledge and pedagogy. Tom Collishaw, a specialist physical education (PE) teacher at Wymondham College in Norfolk, shares his experience of joining the training programme. I was asked to consider the TSST programme because the head of maths wanted to bring a different perspective into the department. I enjoyed learning maths at school so found the opportunity to learn more about the subject very appealing. 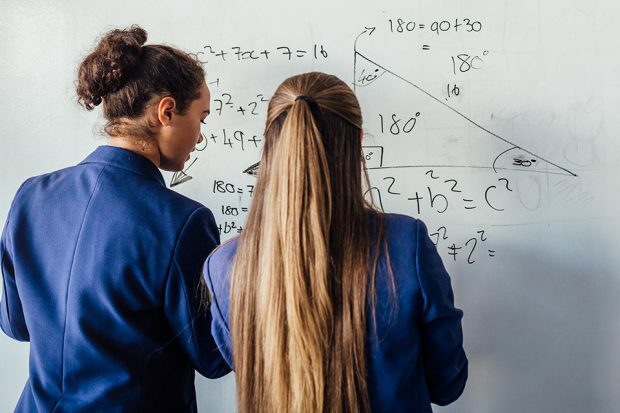 I had worked as a PE teacher for 9 years and had lots of experience of engaging students in physical education, but when it came to maths I was very much starting afresh. I was initially concerned as I hadn’t studied maths at degree level, but the head of maths reassured me and explained how the TSST programme worked and that it would provide me with the skills and pedagogy needed to teach maths. Ultimately, I knew then that it would be something I’d enjoy and could use throughout my career. My training programme was delivered over the school year with multiple sessions on set evenings. The sessions were fixed on certain days but duplicated across two hubs in my area. Supporting resources were also available on the TSST website. I also opted to attend a residential weekend which provided the opportunity to discuss maths teaching with colleagues from other schools. I found this hugely beneficial. It was reassuring to hear from others who were on the same journey as me and it helped me build a strong network of likeminded teachers. Everyone has subjects they like and subjects they don’t warm to. I believe if you are a teacher you are able to adapt and deliver many subjects if you enjoy them but there was a gap in my knowledge of maths. The TSST programme has not only bridged that, but also given me access to the resources and support I need to continue to refine my skills. Now in my second year of teaching maths, I am continuing to build my knowledge and am aiming to teach GCSE classes in a few years. I still teach Year 11 PE because I never want to lose hold of my first passion in teaching, inspiring young people to consider lifelong participation in physical activity. Eventually, I would like to become a headteacher. My experience of developing as a maths teacher has widened my understanding of what it means to be an effective teacher and how to maintain high standards of teaching across a whole school. If you are already teaching or would like to teach secondary maths, physics or a modern foreign language (MFL) and are not a specialist in these subjects then a TSST course could work for you.